Looking into getting a website but not sure if you're ready for the commitment of hiring several (and very expensive!) professionals like web developers, graphic designers and the like that could cost you tons of money? Look no further than website builders! In this article, we will take a quick look at the pros and cons of what are regarded by most as the best website builders currently out there and how you can choose what's best for you. Should you go for website builders or web developers? The most immediately obvious difference between these two are the costs. Web developers can charge as much as $3000 for a simple custom website and that may not even include content and security updates. Yikes! Website builders on the other hand, can cost a whopping $0 if you're just looking for a simple website without any complex features like online stores or member registration. If you want some of the more advanced bells and whistles, expect to shell out around $15 to $30 per month depending on the platform and features you want. Of course you'll need to learn the ins and outs of the platform of your choice which can still take precious time, not to mention a lot of headaches! So, what are the best website builders out there? At the time of writing, the most popular website builders currently out there are Squarespace, Weebly, Wix. These four platforms each have their own pros and cons. They also have similarities in terms of ease-of-use, good billing practices and relatively fast website speeds and good performance, which is why they are regarded as the best. This means that you do not have to worry about your website not displaying correctly on mobile devices. The website, including the content itself will automatically adjust to give an optimal viewing experience. While the other platforms also offer customization, most of them will eventually require you to touch code. Squarespace attempts to save you from that as much as possible while offering more extensive customization option at the same time. While a minior nuisance, some people will defintely find that the customization options are overwhelming and adds too much noise, making it hard to navigate across the more basic customization options. However, since Squarespace's templates are beautifully designed from the get-go, one can just ignore most of these deeper customization options and still end up with a great site. With so many possible combinations of screen resolutions and capabilities, you won't have complete, fine-grained control of how your website will look like. This could be seen simply as a tradeoff for having your designs responsive though. Squarespace only recently added Paypal to their small list of payment gateways. While not a problem to those not looking for an ecommerce site, it can definitely be an issue to those who are. This is especially important to designers looking to sell, given that Squarespace's templates are suited for them too. 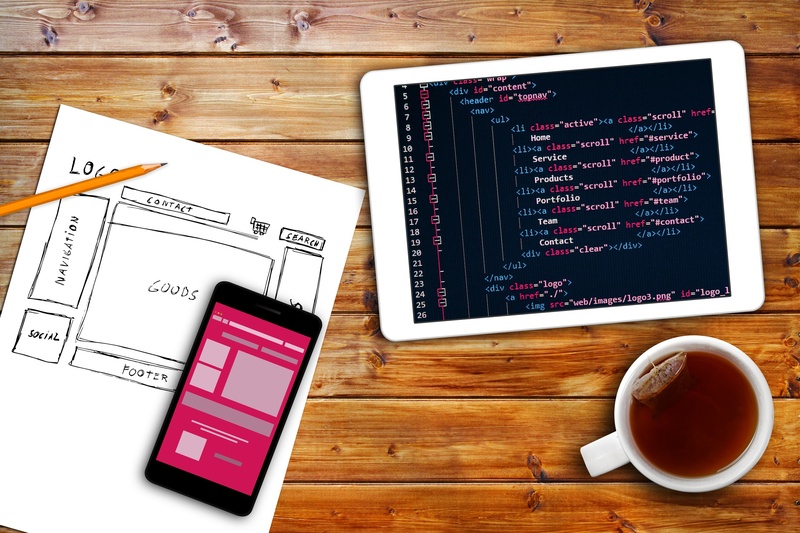 Download this 11-step checklist for your next website redesign here. Wix offers a plethora of design templates, all of which are high quality and ready-to-use. The templates are pre-populated with content so you'll have a good idea of how it will look like while you're editing and filling in your own content. Perfect for starters! Wix also has an excellent drag-n-drop website builder where they consistently bring in new and innovative features and designs that are made to be just as user-friendly as the rest of the builder's current features. This means you have access to more features that do not require you to mess with code. They even have a list of all the features they've added each month thus far. As you're building your website, you will see help/support buttons and links everywhere. Now, some may view this as annoying but it's really not an intrusive feature. This just shows that they are confident with their support system which is always a good thing for the users. They also ahve phone/email support. While Wix offers a ton of templates, you cannot easily switch between them. This is most probably because of how the content and layout differ wildly from one template to another. Regardless, if you want to switch templates, be prepared to reinsert your content again! While most, if not all platforms that offer free plans will have some amount of advertising, Wix's is by far the most prominent. A simple upgrade to a paid plan can fix this issue, however. Wix is just now introducing a more fleshed out set of e-commerce tools. Looking at their track record in terms of features, they should catch up eventually; But if you're looking to setup an ecommerce site right now, make sure Wix's feature set is capable of giving you what you need first. Weebly's website builder is focused on being as user-friendly as possible. It doesn't overwhelm users with too many bells and whistles. They're introducing more advanced features while still keeping it as user-friendly as possible. Weebly has been offering more and more up-to-date templates which are all responsive and eay-to-use. It's also easy to change templates; All your existing content will carry over, making it a breeze. A huge help to those looking for a quicker website building experience, weebly offers numerous page templates that you can use to quickly get started on your pages. Weebly has limited options in terms of customizations compared to the other two platforms. If you want to more deeper levels of customization however, you can still do that as long as you're willing to tinker with code! Weebly's feature set are enough for the basics and are always made to be as user-friendly as possible. However, they don't add features as often as one would like, which means if you're looking to get the latest and greatest features that other platforms are offering, you'll have to wait for a while. One of weebly's popular complaints is that their blog system is lacking basic features like showcasing related or popular posts. This means that if you're looking to setup a blog, you'll want to first make sure that you're satisfied with Weebly's feature set. And there you have it! Choose is to check if the pricing and features set meet your needs. Happy website building! Building your website can be an overwhelming amount of work! Leave your website to professionals! Contact Kulture Konnect today for pricing details here.